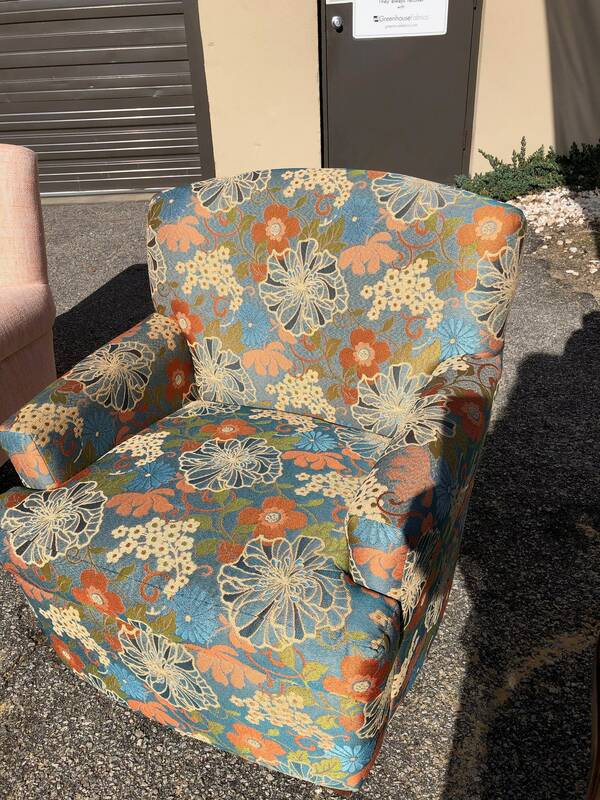 Upcycled Vintage Reupholstered Armchair. Recycling the frame saves trees as well as junk in our landfills. 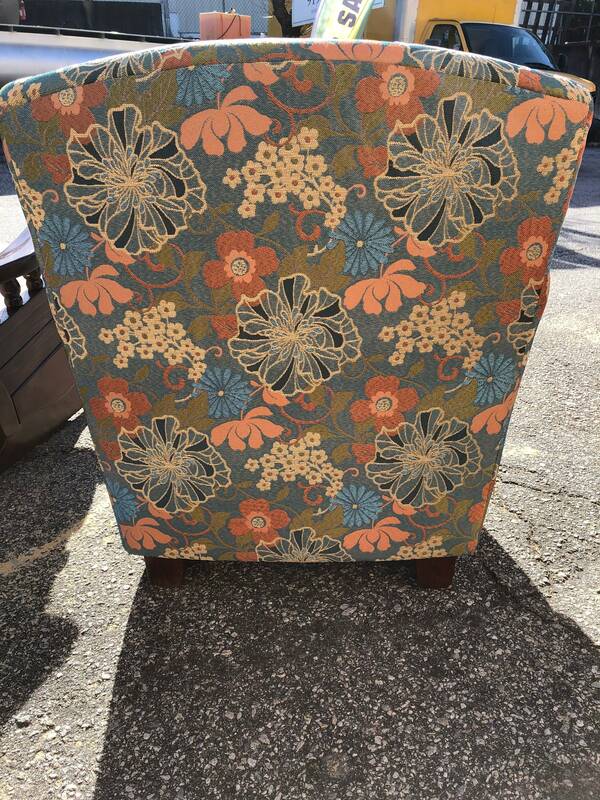 I am very proud to say that we give life to old furniture. This repurposed piece was stripped of everything down to the frame. 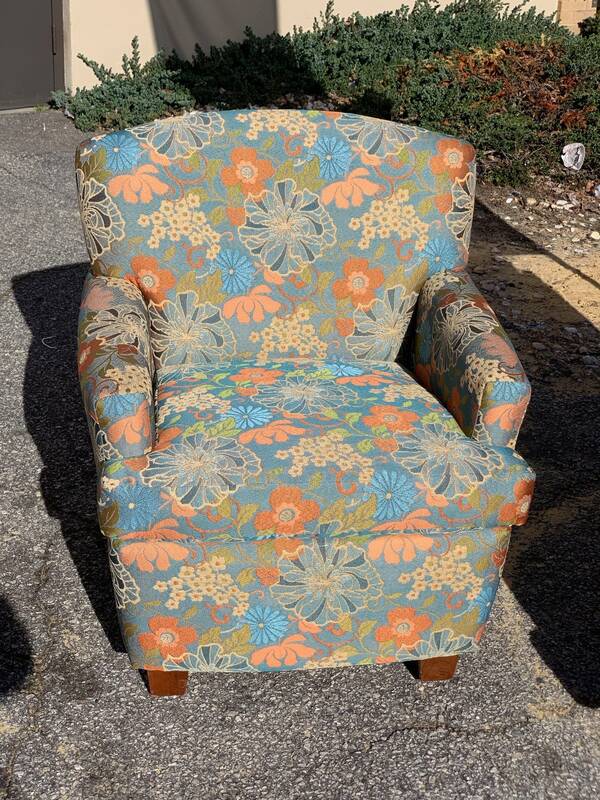 New padding and beautiful fabric make up this fantastic chair. 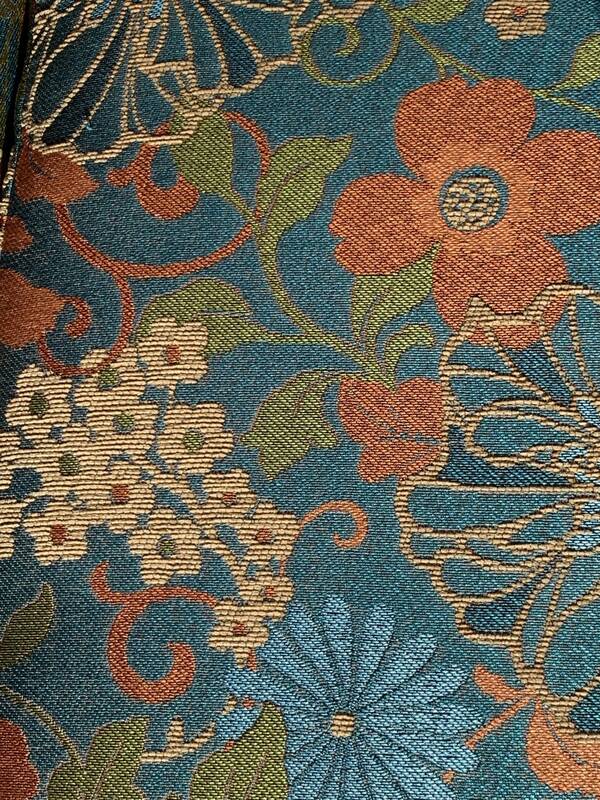 The floral pattern includes aquamarine, teal, navy, green, orange, and beige. 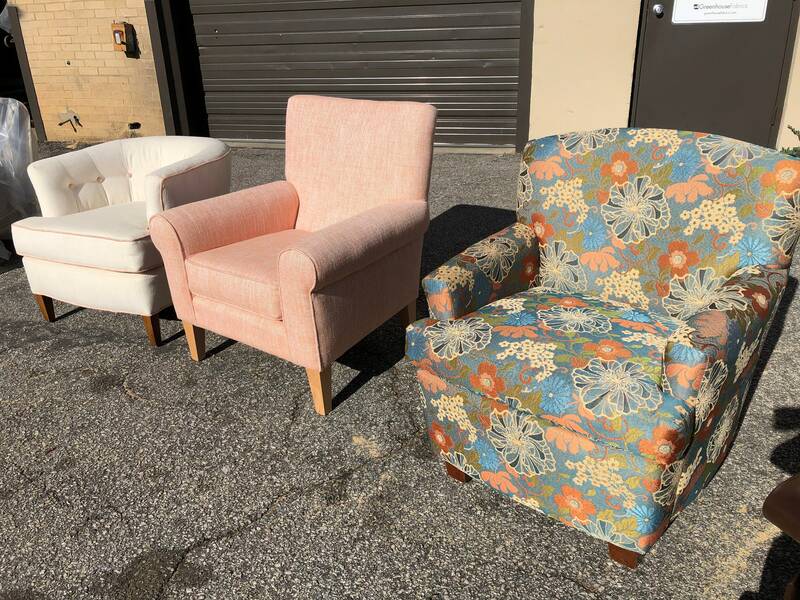 The brightly upholstered chair is the perfect addition to a tan, blue, or grey sofa. I hope you love this selection as much as I enjoyed recreating it. Please look for our sticker under the cushion. Custom pieces can be created upon request. If you have any questions, please do not hesitate to write us an message.